pitch pine farmhouse table, a very traditional and versatile table, that would look at home in an older style property or as pictured in an ultra modern apartment. 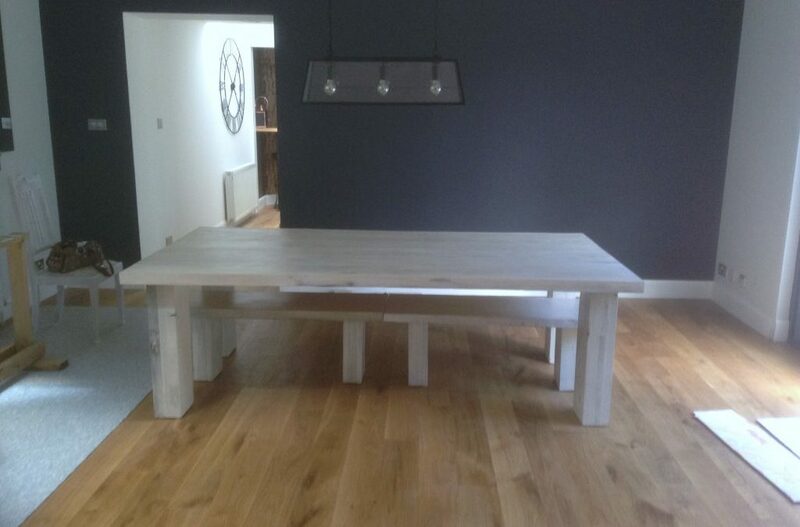 This pine farmhouse table has been lime washed on the customers request to blend in with the modern feel. Made from reclaimed beams from Folkestone railway station, these beams were laid as a walk way for the disimbarking soldiers in ww1. Pitch pine has a huge natural resin content which makes it exceptionally durable and will need very little maintanance. 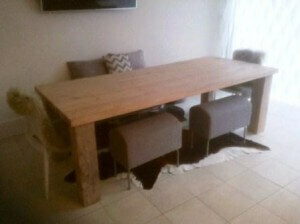 We can make a pitch pine farmhouse table to any size, simply call or contact us for more details.